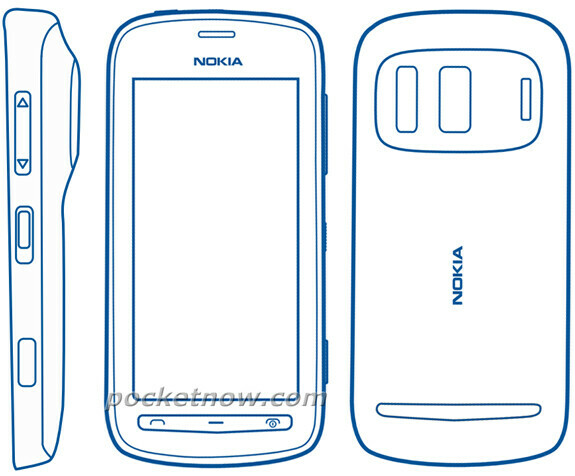 Nokia 803 leaks out: an optical camera equipped Nokia N8 successor on Symbian? Here’s a cool idea for struggling Nokia - take the best cameraphone on the market, the Nokia N8, and modernize it. Simple? Yes, and now it seems that we have a vague and unofficial confirmation that the Finns are indeed working on that and it’s called the Nokia 803, also known by its model number RM-807. Pocketnow got a hold of the user manual of the device with a picture of the device with a huge bulge on the back. Now, this bulge is the biggest argument in thinking this could be the successor to the N8. Sadly, the manual doesn’t confirm anything in specific except for the basics - NFC-capability, HDMI-out and DLNA. Moreover, the document itself hadn’t been finalized, so it could be different when it goes official. UnwiredView fuels the fire by adding rumors: optical zoom and a larger sensor than the 12-megapixel one on the N8 are mentioned. The screen size is allegedly bound to stay 3.5-inch, but with WVGA resolution and Gorilla Glass protection. Under the hood, there’s a 1GHz processor and 512MB of RAM. Now, you probably thought this was all wrapped in a Windows Phone envelope, but weirdly the rumors agree on Symbian powering the alleged Nokia 803. One possible reason for that is a speculation that WP can’t handle the large sensor and all of Nokia’s camera implementations. Another one, is - of course - that the rumor got something wrong, so we’d take all of this with a big grain of salt. What do you think about Espoo releasing a handset like the Nokia 803 - is it possible? They better design one with Windows Phone as well, We are still missing a good camera-phone, although the Titan is just as good as the iPhone4s and the best Android has to offer. if nokia got this on android i think it would do really well. 1ghz processor, 512mb ram, 3.5 inch wvga screen on android = budget phone from last year. But it will have a great camera, so some moms may want this one, not caring about the other specs. Don't tell me this is gonna be the design of the N8 successor, this looks bullcrap! 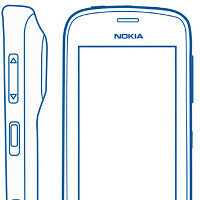 Honestly, the buttons and all make it look like another Nokia 603 wannabe with a 701/C7 back.. Come on Nokia! Get a solid design! You did it for the N8, it was awesome! You can do it again!! You can't let the flagship down with such a crap! After the N8 and N9 (and Lumia 800) this is a design from Nokia? Not happening. Pls don't insult yourselves with phones like this. Display needs to be at least 4", no excuses. WTF??? Who writes this blog ?? SUCH A LAME POST!!! After reading the whole post I see no reason to say that its a cheap upgrade of same Nokia N8. FIRST GET THE FACTS TO PROVE YOUR POST STORY!! TO DEAR WRITER, First of all as you said the report is unofficial! Secondly, You say about the camera bulge at the back. there are huge no. 12Mpx phones having bulge at the back like Satio and all, doesnt mean they've copied it! Thirdly, you even mentioned that the manual is unofficial as of now. RIGHT?? And a product goes under several changes at the design time. So SHUT UP!! NOKIA HATER! !